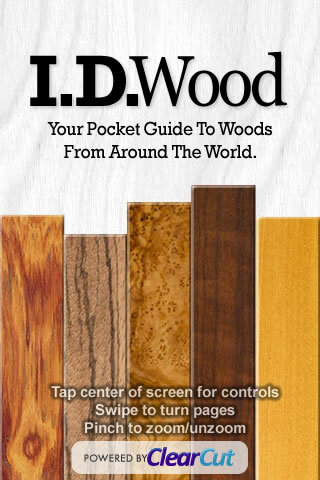 Home > Technology > If You Dig Design, Check Out These Apps for Your iPhone! If You Dig Design, Check Out These Apps for Your iPhone! There’s an interior designer in all of us, although it’s often difficult to transcribe the vision in your head into a cohesive, beautiful space. I have recently found iPhone apps which can be extremely useful in helping to plan your space, textures, materials, colors and much more. Remember, failing to plan is planning to fail. So, be prepared with these fun programs that are always right at your fingertips. I’ve highlighted a few of my favorites with a list at the bottom of more for you to explore. The Mark on Call application (screen featured above) seems to be one of the popular iPhone applications that inhabits all of the handy features that are needed most to capture the interior designer within. The simplicity is so convenient. 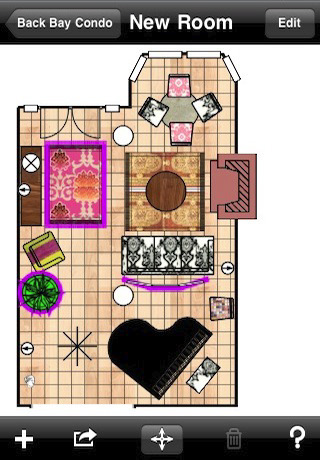 If you are out browsing, you can take a picture of a product or material and insert it directly into your floor plan to see how it would look. Measurements share the same concept…you can ensure your furniture will fit through doorways before purchasing! Otherwise, it can be a big “Oops!” moment. 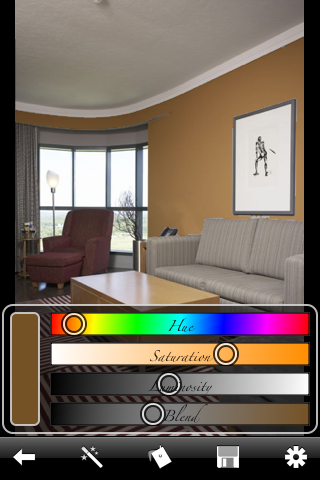 If you’re trying to figure out the perfect paint color for a room, you have to check out the ColorChange application. 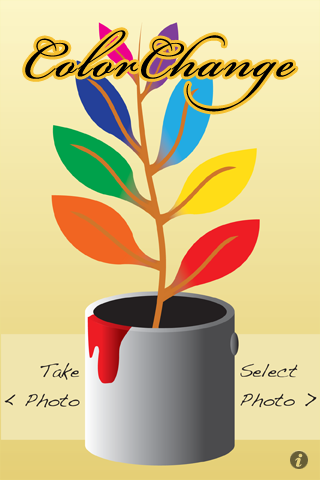 This program allows you to take a picture of any image (a single wall, a room, landscape or single object) and apply a wide variety of colors to see how it will actually look once complete. You have control over color saturation, blending and highlighting as well. A simple shake of your iPhone erases a color choice if you don’t like it. Sure beats stockpiling paint samples! These are just a few of the helpful design apps that I found that can make your life easier. Make sure to check out all of the links below too. Whatever the project you are envisioning, have fun!